Nothing I can say will be able to express my love for this book. I’m thinking it may be my top read of 2016. And anyone who knows me has to understand how much this means. I enjoy romcom but NEVER have I ever thought I’d put a romcom above my normal angsty reads. But that’s Penny Reid for you. She’s fantastic and I want to be her best friend. 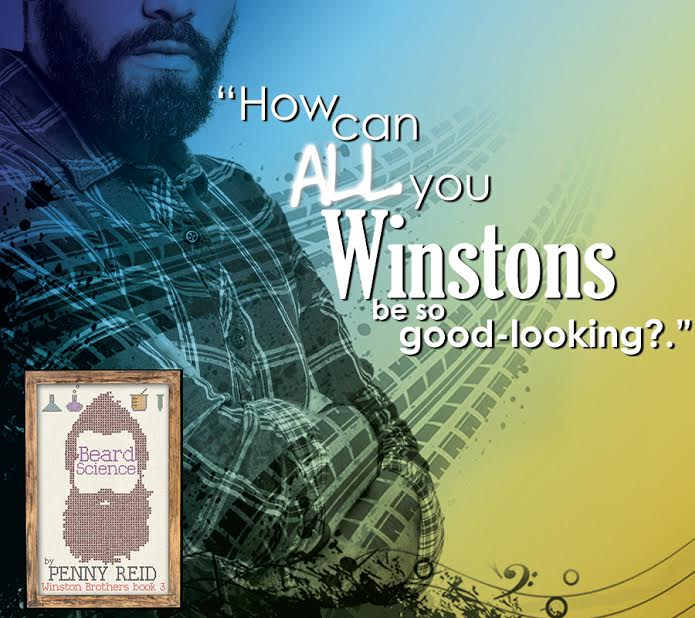 If you’ve read Penny’s books then you will be pleasantly surprised how she ups her already amazing ‘smart romance’ game with Beard Science. If you haven’t read her before, I urge you to read in order even though this is technically a stand alone. 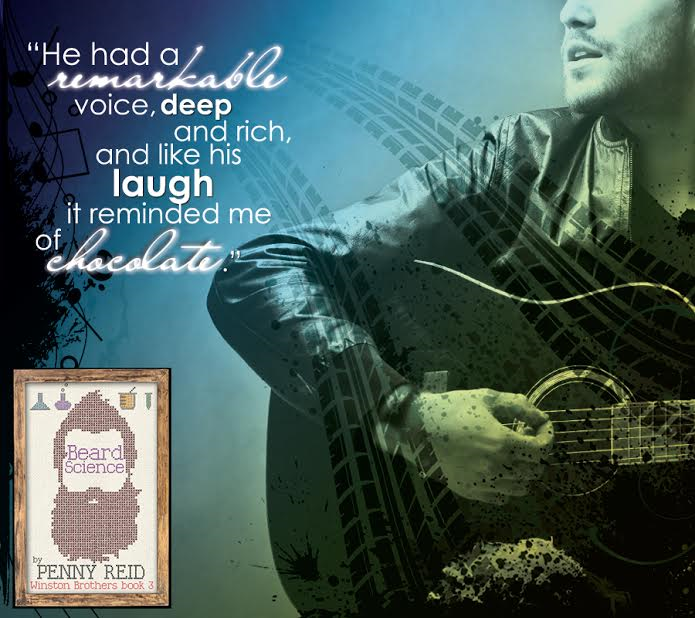 The beauty of Penny’s books are that the series tie together and you keep coming back to characters you know and love. If I could pick one series to ‘live’ in, it would be Penny’s books. But enough of my vague Penny worship. Let’s get to Cletus and Jennifer, the couple everyone has been waiting for! They are so perfect for each other and watching them fall is the most satisfying romance I’ve read in quite a while. The sweet banana cake queen blackmails Cletus into helping her. He’s shocked that someone was more diabolical than him and reluctantly agrees. I couldn’t choose a favorite part of the book if I tried because I’d basically have to highlight the entire thing. But Jennifer’s ‘date’ with Billy is high up on the list. Cletus is conniving, hilarious, and so darn sweet. I loved seeing the romantic and protective side to his personality. Jennifer is actually a great heroine. Despite her initial doormat personality, you’ll fall in love with the woman she wants to be. She blooms under direction and attention from Cletus and the rest of the Winston clan. Well, now that I’ve written this review I think I’m going to have to read the book again. This is one I wish I could unread just so I could experience the awesome all over again. Again, this review can not possibly describe how much I love this book, this series, these characters. Just read them.